By harrisonca on September 3rd, 2009 . Filed under: Contests . Calling on youth artists from across Los Angeles! 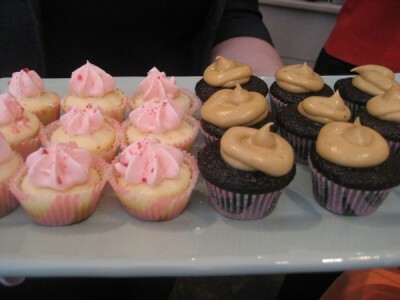 On Saturday, September 12, 2009, from 11 a.m. to 2 p.m., Soul Cups Cupcake and Catering Company will feature a special Back to School event at Say Cheese Café, 2800 Hyperion Avenue in Silver Lake, California. As a special part of the event, Soul Cups is holding a “Draw Your Favorite Cupcake” contest for children ages 7-12. Cupcake and café executives and local artists will serve as the judging panel, and will choose two lucky winners. The top two youth with the best designs will each win one dozen cupcakes for their family. •Students can drop off their designs to Say Cheese Cafe, 2800 Hyperion Avenue, Los Angeles, CA 90027. •The top five designs will be showcased at the Soul Cups “Draw Your Favorite Cupcake” event and sale at Say Cheese on September 12th. •The top five drawings will be featured in any photo opportunities. Drawings will not be returned unless a self-addressed and postage paid envelope is included. •Again applicants MUST be ages 7-12. This is one sweet event parents and children can enjoy and savor together.